Most of the businesses look for expanding locally as well as internationally and for that a steady business communication with customers is a must. Although various options are available in the market to select a business phone. But such phone systems that save time & money make more sense to contemporary needs. Nowadays, VoIP systems are the widely accepted technology for having business communication as these can upgrade without any downtime and are cheaper in comparison to wired/traditional phone systems. Let’s see why VoIP is making its presence in the contemporary business scenario. VoIP (Voice over Internet Protocol) is a technology that enables the transmission of voice and media data over the internet. As it allows communication over the internet, that’s why the calling rate is much lower in comparison to the traditional telephony. VoIP allows analogue audio signals into data packets. These data packets travel like any other type of data such as e-mail, over the internet. It uses TCP (transmission control protocol) /IP (internet protocol) which manages the data transfer and assures data packets are transmitted to the right destination. This is how a conversation happens over the internet. However, if you are planning to use this service for your business, then you don’t have to be concerned about the issue of security and safety. Because VoIP service uses cloud technology, and it doesn’t need of on-premise servers as it is hosted over the cloud. A third-party service provider manages all cloud server operations. It makes cloud-based solutions easy to maintain, simple to deploy. VoIP industry plays a huge role for remote workers by increasing the business reach over the globe. It provides seamless communication to businesses, below are some factors that prove the importance of VoIP in business. VoIP solution has the potential to reduce the calling cost to a great extent as calling is done over the internet that’s why charges are comparatively lesser for local and international calls. According to Techco statistics, small businesses that switch to VoIP reduce the cost of their local costs by up to 40% and save up to 90% on international calls. Another best part of VoIP is that the plans are flexible that means you can choose which features to pay for. Also, you can increase or reduce the network bandwidth according to the number of agents. 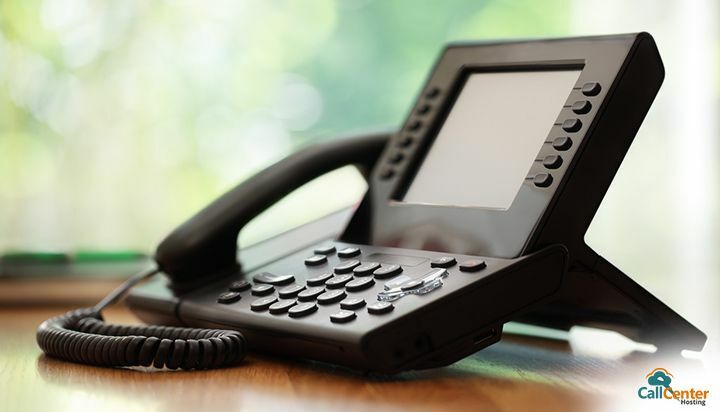 VoIP installs over the existing computer/telephone system and avoids the infrastructure cost associated with the purchase and maintenance of extra voice communication systems. Apart from the calling, VoIP allows video conferencing. With this feature, people can keep in touch with each other, as well as conduct meetings or even close business deals regardless of other party’s locations. A VoIP phone system has proved that distance doesn’t matter. It enables your business to reach worldwide and you can increase phone extensions by simply doing little change in network bandwidth. Traditional communication systems can be barriers for small business when they look to scale up operations. This is because it requires money, space and manpower. But in the case of VoIP, it doesn’t need space due to its wireless nature. An auto attendant feature which routes business calls to appropriate departments without human intervention. Customizable call extensions which allow you to control how the incoming calls will be handled in terms their priority. Provides detailed reporting of inbound and outbound calls. In recent years, the use of hosted VoIP services has overtaken the number of businesses who use traditional phone systems for communication. This is because of the reliability of VoIP network that carries the data over the internet ensuring every aspect of security. Traditional phone systems also have some extra features but for that usually, you have to pay more. But VoIP is different, it comes with a wide range of features like conference calling, instant messaging, video call, call forwarding, Voice mail caller ID which provides seamless calling experience. As per the report by persistence market research, the market of global VoIP services is predicted to reach US$ 194.5 Billion revenue towards the end of 2024. It clearly shows that the future of VoIP is very promising. Also, VoIP integration with CRM is the most important feature for any business because that’s how you get to know your customers in a better way. It provides real-time calling data which ensures every interaction of the agent with the customer should lead to some positive business results. This insight is helpful for improving call quality. Above features of VoIP are truly indispensable tool for businesses. VoIP solutions do not only offer cheaper call rates to businesses. It also improves business operations and expands business reach.